Postgraduates and researchers studying control engineering will appreciate the combination of mathematical theory and practical issues. Control engineers, particularly those working in the aerospace industry, will profit from the detailed application sections which relate eigenstructure assignment to real industrial problems. 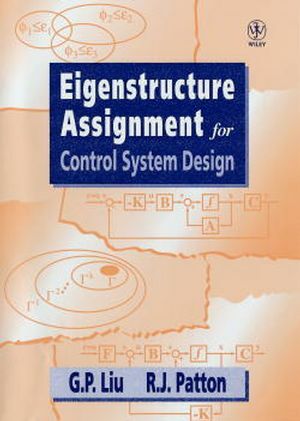 G. P. Liu is the author of Eigenstructure Assignment for Control System Design, published by Wiley. R. J. Patton is the author of Eigenstructure Assignment for Control System Design, published by Wiley. Robust Control via Eigenstructure Optimisation. Multiobjective Techniques for Eigenstructure Assignment Design. Eigenstructure Assignment Using Output Feedback. Multirate Sampled-Data System Control via Eigenstructure Assignment. Eigenstructure Assignment for Descriptor Systems. Robust Fault Detection by Observer Eigenstructure Assignment.